August 24, 2017, Keelung, Taiwan - Lian Li Industrial Co. Ltd is proud to present the majestic PC-V3000 full tower PC chassis. 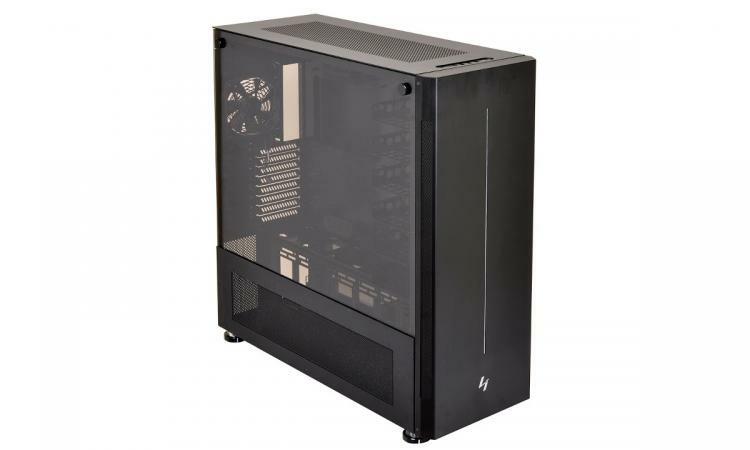 The Lian Li PC-V3000 is the continuation of Lian Li’s flagship line of full-tower PC cases and designed with the goal of being the ultimate Aluminium and tempered glass full-tower PC. Designed for E-ATX motherboards and massive liquid cooling radiators (or 120 / 140mm fans) , the PC-V3000 can house up to 9 3.5” drives in addition to 3 2.5” drives. The PC-V3000 is constructed with three different kinds of material. Internally the structure is made of high-quality steel that improves structural rigidity, durability and acoustic performance of a chassis as large as the PC-V3000. External panels are made of high-quality brush Aluminium, featuring Lian Li’s patented rivet locking mechanism for easy installation or removal of panels. Finally, there is Lian Li’s largest tempered glass panel to date which gives a great look at the most important internal components. 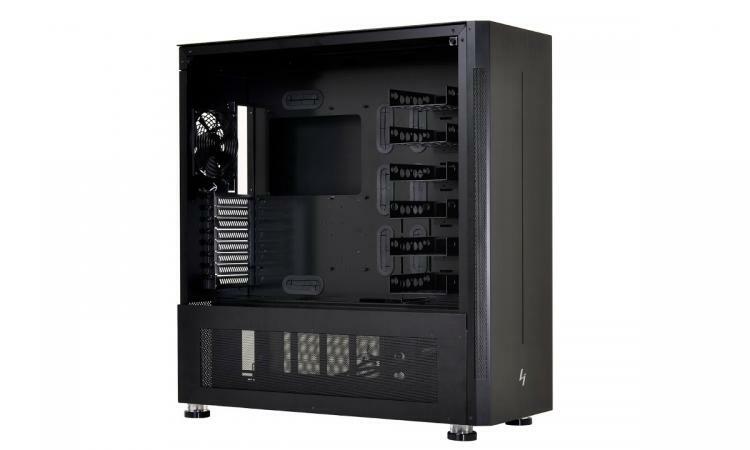 The PC-V3000 is Lian Li’s first chassis that is capable of housing four radiators, bringing its liquid cooling capacity to an unrivaled level for its class. A large 480 mm radiator can be fit at the bottom, while the top can house up to a 420mm radiator. The front panel can house either a 360 or 280 mm radiator, and finally, a single 120mm radiator or fan can be installed at the rear. The PC-V3000 lends itself for creative modding. 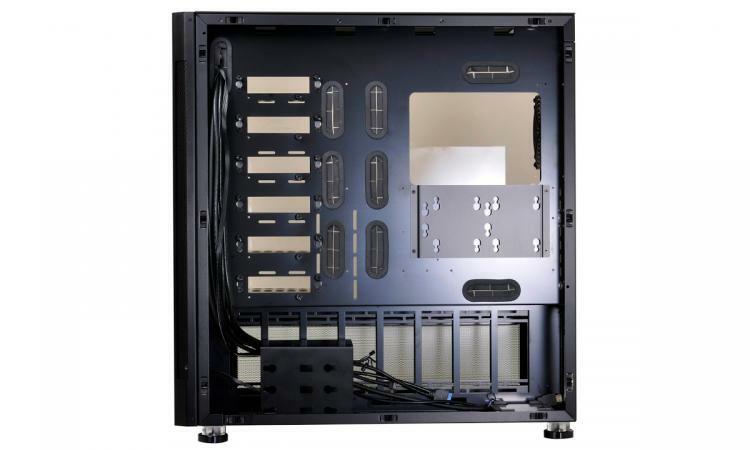 Internally, all 3.5”drive bays are removable six in the main chamber, and three in the bottom chamber, where two additional 2.5” drives can be mounted on the rear of the motherboard tray. These positions can be used for flexiblemounting, of up to four reservoir/pump mounts. For long PCI Express cards, there are two individual supports to prevent GPU bending. The PC-V3000 looks like a classic monolithic, quality Lian Li chassis, however, it features both separate chambers for maximized cooling potential, as well as the subtle integration of RGB lighting. This way, the PC-V3000 exudes the true style of a high-quality flagship chassis without holding back on features or functionality, this includes having access to HDMI and USB 3.1 Type-C through the front panel connectors. RGB controller dials are hidden away behind the front panel but allow easy customization of the front panel LED strip.